Good weather and warm temperatures bring with them a lot of wonderful pastimes. Eating ice cream. Going to the baseball game. And way up there on the list of favorites? Teeing off at your favorite golf course. But, along with those activities, comes a little-known truth about golf carts: They can lead to catastrophic personal injury and even death. Think I'm kidding? Think again. I don't play golf - but every time I'm shuttled in a golf cart at a hotel resort - I'm wary of what I'm doing. The Consumer Products Safety Commission (CPSC) has found that about 15,000 golf cart related injuries occur annually in the United States, which necessitate visits to hospital emergency rooms. Some studies also show that those statistics may even be on the rise. As a Boston, Massachusetts golf cart accident attorney, I'm concerned about those statistics. However, most people don't know the facts and wrongly assume that golf carts are perfectly safe. For example, one major hazard of being a passenger in a golf cart is the possibility of ejection. Being thrown from a moving golf cart can cause surprisingly serious injuries. For example, an ejection accident might typically happen when a golf cart, which is operating close to its maximum speed, turns quickly and sharply to the left or right. This action can suddenly force the passenger to the opposite side of the cart - with no door on the cart and no seat belt on the passenger. A passenger can wind up being thrown to the ground, having been ejected from his or her seat in the golf cart. A broken limb, serious back injury or fractured skull can easily result. Furthermore, the CPSC has found that many Boston golf cart accidents happen to young children. Due to testing with crash dummies, and extensive and computer simulation analysis, the CPSC discovered that, because of their small size and inability to touch the floor with their feet, kids are particularly susceptible to ejection from golf carts. In addition, about 10% of golf cart accidents wind up being a rollover accident. It doesn't take a lot of imagination to foresee the terrible consequences of that scenario. If you - or your loved one - has been the victim of a Massachusetts golf cart accident, call us right now at Ph. (617) 285-3600 or Ph. (781) 320-0062 and we will return your call promptly, to discuss your accident. Or you can send us a confidential email. We also make house and hospital visits to our clients, and have offices conveniently located in downtown Boston and off Route 128 in Westwood, Massachusetts. Please remember: If you have been injured and need a Newton MA golf cart accident lawyer or Brookline Mass. 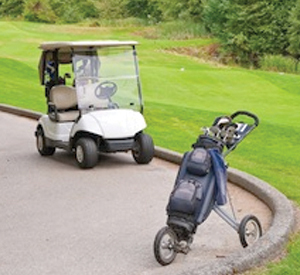 golf cart accident law firm, you may be entitled to recover possibly substantial financial damages. Whatever you do, if you have been injured due to a golf cart accident, do NOT hire a law firm that does not have substantial experience in handling these types of cases. As you might think, golf cart accident cases are a "special breed" of injury case, and they require expert-level Massachusetts golf cart accident lawyers to achieve the best financial results for the client. For more important information from our offices about how to manage the immediate aftermath of suffering an accident or injury in Massachusetts, including golf cart accidents, click here to receive our FREE article, "The Top 10 Things To Do After Suffering An Accident Or Injury In Massachusetts." This document contains important information about how to safeguard your legal rights after suffering a serious accident or injury caused by someone else's negligence - requiring the professional intervention of a Cape Cod golf cart crash attorney. The average person wouldn't, understandably, know how to respond after suffering a Massachusetts golf cart injury. But in this article you'll discover how to best protect yourself or your loved one in the immediate aftermath of such an injury. Seek medical treatment . A golf cart accident could quite easily cause fractures, broken bones, nerve damage, spinal cord injuries, in some cases, traumatic brain injury, and even death. Use your Smartphone to take photos of the area where the accident occurred . Photographic evidence of both the accident scene and bodily injuries is often critical to achieving a successful outcome to any injury case. Contact a Massachusetts golf cart accident law firm such as The Law Offices of William D. Kickham at Ph. (617) 285-3600 or Ph. (781) 320-0062. We have a proven record of success in Boston personal injury lawsuits. Or click here to send us a confidential email. Boston Massachusetts personal injury lawyer William D. Kickham is a professional commentator and legal expert for several local and national media. He has granted media interviews and served as a legal analyst in Court TV (now In Session on HLN,) Fox News TV-25/Boston, The Boston Herald, WBZ-AM Radio 1030, WCVB-TV5/Boston, Nightside With Dan Rea, Greater Boston With Emily Rooney, Money Matters Radio/Boston, and The Metro Newspaper/ Boston. That's great experience to have on your side, when you need it most.